Obviously the 40mm Bofors mount was a bit of a slap-dash effort, and was the rarer of the two. Yes, they did see significant ground use during the short period of the fighting in Normandy. 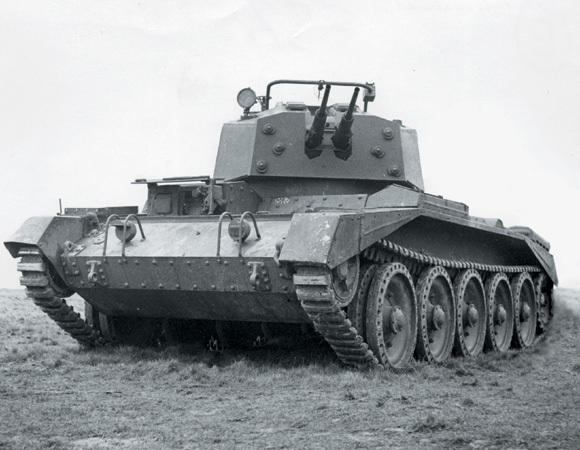 The Poles in particular are noted for using theirs (AA mk2) against ground targets throughout Normandy and the rapid pursuit into the Low Countries. They lost them during the refit over winter 44-45 in the Netherlands. 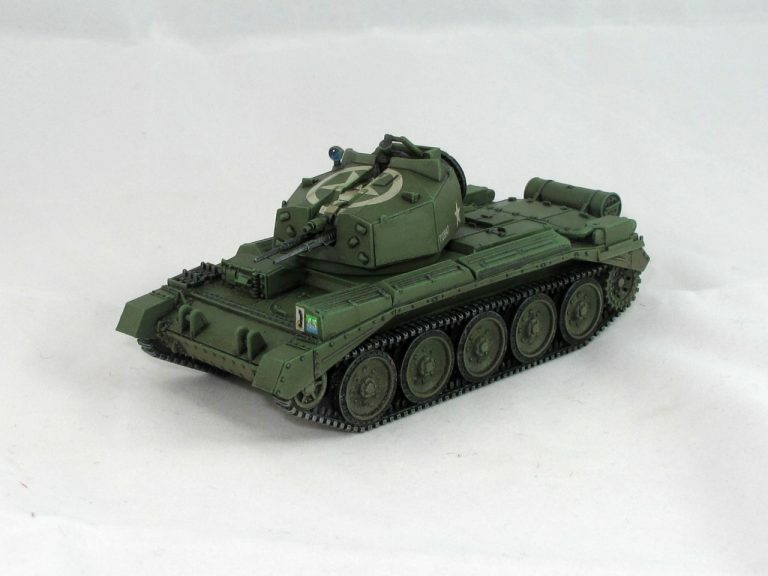 Bascially they stuck the turret from a Crusader AA Mk2 onto the Centaur hull, although being a late mod these seem to have exclusively got the version with the Polsten guns instead of Oerlikons. I don't know how much action these saw, the Centaur was tragically underpowered and I can't imagine them being in the forefront of the Allied advance very often. Last edited by Seret on Fri Jul 06, 2018 6:24 am, edited 1 time in total. It's a good kit, but the air recognition star on the roof was bloody fiddly! I`m surprised you`d ever need one on the tabletop in 28mm?? Well, as I said, they used 'em against ground targets. Twin 20mms are pretty tasty as a fire support for your infantry. 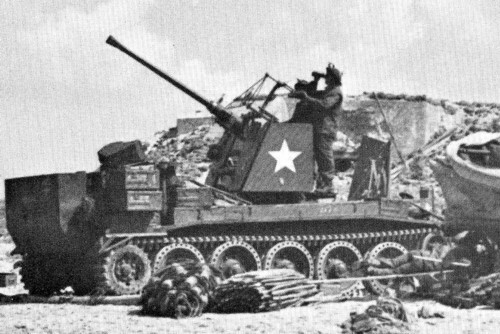 See also the US M16 half tracks, Soviet Quad Maxims and German 20mm AA guns in single and quad mounts. It's fun to put something different on the table sometimes.